Great news for our Ultimate clients and for the Basic users who are thinking about starting an Ultimate plan. 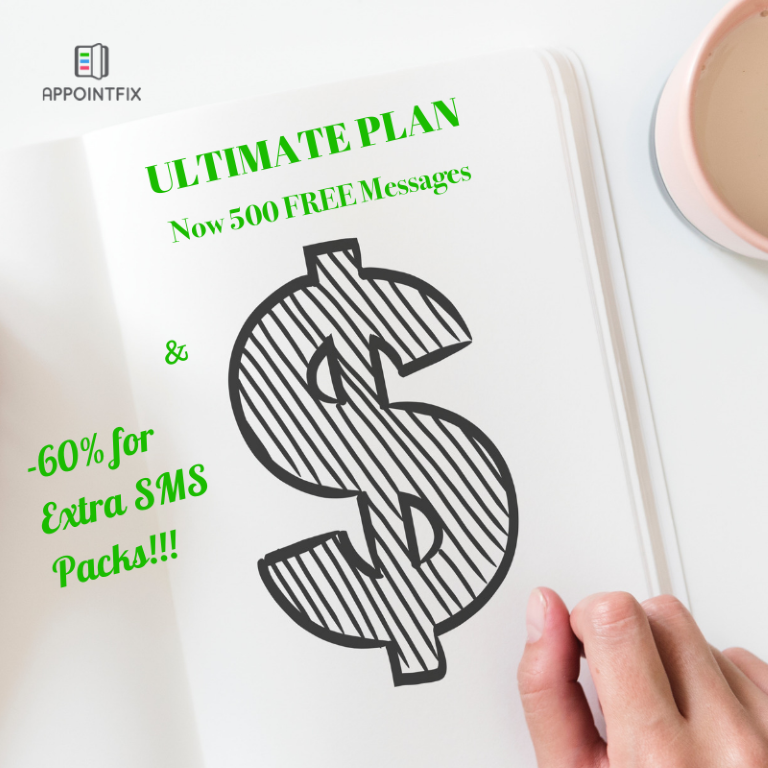 We have increased the number of messages included in our monthly Ultimate plan from 300 to 500 messages! If you have an Ultimate subscription, you will get the 500 free messages when your monthly cycle resets next time. For the Basic users who are not familiar with these details, you should know that under the Ultimate plan, the SMS reminders are fully automated and are being sent via our system. That means that with Appointfix Ultimate it doesn’t matter on what device you’re using the app, we make sure your appointment reminders are always sent out. So now, as an Ultimate subscriber, you will get 500 messages FREE each month. If you run out of messages, you can buy extra messages. And here’s our second great news: we’ve reduced the prices for the extra SMS packs with 60%. The extra text message packs are from 50 messages ($4.99 $1.99) up to 500 messages ($34,99 $14.99). Unused extra messages are carried over to the next usage cycle, after which they will expire. If you are an Ultimate user, you can view the prices for extra SMS packs in your local currency, by going to Menu > Settings > User account > Buy more messages. We trust this is good news for you before starting the weekend. As mentioned at the beginning of this post, if you have an Ultimate subscription, you will get the 500 free messages when your monthly cycle resets.